"Picking a top five from that lot is no easy task, but here, as I sip a glass of New Year rum, are my best reads of the year." 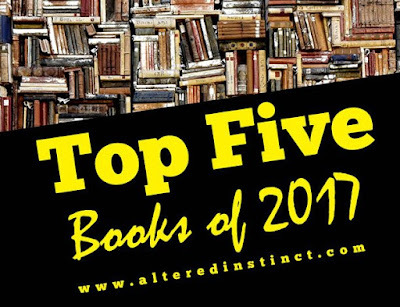 Altered Instinct has included my horror collection in their top five books of 2017! I loved this quote about my horror collection: "Heck, if anyone can make you think of Gallagher, Herbert and Quatermass in one fell swoop, that's practically a guided tour of the classics of British horror." Read the full article here. I'm really honoured to appear there! I always love it when my books turn up in "Best Of" lists (Jera's Jamboree, Life of a Nerdish Mum, Banshee Irish Horror Blog etc).